So you've been invited to a house-warming party, you want to bring a gift to celebrate the big occasion but you're stumped. Lots of ideas cross your mind...a fancy cheese basket with cheese board...a wine rack...a live, or artificial, indoor tree, and the list goes on. Fire extinguishers go with any décor, never go out of style and they come in price ranges for any budget. They're useful and probably won't get returned to the store. 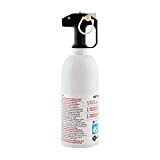 The most popular home fire extinguisher, this multi-purpose extinguisher is easy to use and durable. On the front is a large bi-lingual instructional label with graphics for easy step by step operation, also is a metal gauge indicating that the extinguisher is charged and ready for use. The sure-grip handle makes it easy for people with oily or wet hands or those with arthritis to operate during a fire. Includes a wall bracket and a six year warranty. This 2 pack would make a great gift for a new home or apartment. They can be placed in different rooms around the house for quick access in case of fire. Simple design canister with spray nozzle makes fighting fires fast and easy. Cans are lightweight, only 16 oz. and bio-degradable. Using a fire extinguisher isn't difficult or complicated but in the event of a house fire it's a good idea to have a working knowledge of how to operate the extinguisher. This one-minute video shows the most efficient way to use your extinguisher in 4 simple steps. It's worth watching! 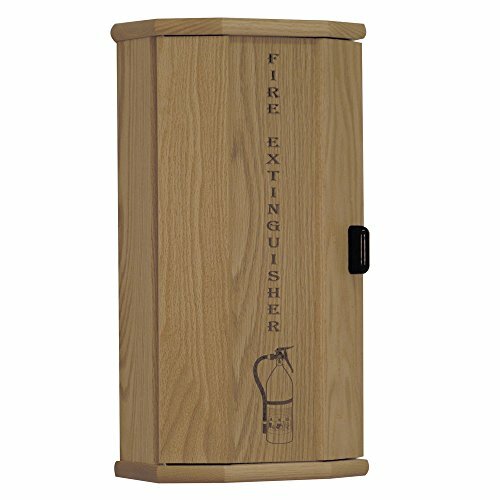 Embellish your gift of a fire extinguisher with this lovely way to conceal a fire extinguisher in this oak cabinet tastefully engraved with 'fire extinguisher' on the door. 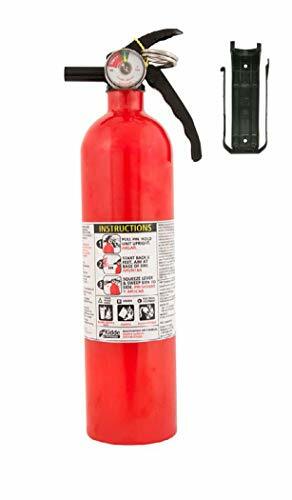 Small and easy to use, this kitchen fire extinguisher would be a welcome gift for any new homeowner. It has a quick release wall bracket and easy to use push trigger. It's effective on kitchen fires caused by grease, oil, flammable liquids and electrical based. Also comes with a 5 year warranty. Small extinguishers fit in a shoe box. I usually get large cardboard boxes from the dollar store or supermarket when they are unpacking inventory and stocking shelves. Those boxes are free! candy47, What do you recommend for packaging the extinguisher and the pack so it's not so obvious what they are? Good point blackspanielgallery. I will mention that in my next edit of the article. Thanks! I believe some insurance companies may offer a rate reduction if certain objects are in the home, and this may be one of them. That's me sheilamarie, I always like to give, and get, practical gifts! I wouldn't have thought of a fire extinguisher as a gift, but you are right. Such a practical idea! Neat idea! I like the little Firegone spray cans, too. 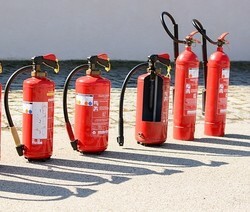 Those look really handy, though the standard extinguishers would provide more of a feeling of real preparedness. Everyone needs to have fire extinguishers handy. They do make good, practical gifts. Well , it never occurred to me, fire extinguishers can be gifted too. Unique gift idea, love it.